Only 5 more days until the Health Symposium here in Tucson with the Esselstyns, Jeff Novick, John Robbins. I have already baked the Alaine's Rainforest Cakes that all the speakers will receive as gifts from the Healthy You Network, the event organizer and producer. (Sheryl Greenberg does an incredible job!) As of this writing, there are still a FEW tickets left. If you are interested, call 520-275-7999. 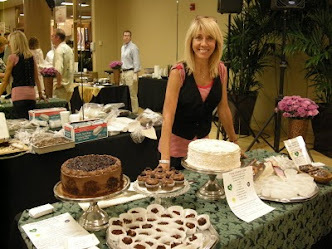 We will be at the DoubleTree at Hilton, Tucson-Reid Park at 7 am both April 28/29 (Sat/Sun) until at least 5:30 pm with lots of healthy baked goods: muffins, bars, brownies, cakes, bundt cakes and cookies. Hope to see you there!